Marine energy refers to the renewable energy that can be generated from oceans, seas and rivers. The marine energy resources are contained in waves, tides, differences in salinity gradients and water temperatures. The Dutch Marine Energy Centre (DMEC) builds strategic collaborations to accelerate innovations in this emerging sector. Marine energy is a relatively new form of renewable energy which is now reaching viability as potential commercial power source. Compared to other renewable energy sources such as solar and wind power, marine energy is a reliable source of energy because of its high predictability. In addition, marine energy technologies can be integrated in existing delta and offshore infrastructures, making profitable multiple-use business cases possible. Another positive aspect is that the technologies have limited or even no visual impact for the general public. Moreover, the global potential of this sustainable energy source is significant; by 2050, an estimated 300GW of electricity can be generated globally. In Europe, it is expected that marine energy will generate 100GW of energy (10% of Europe’s electricity demand), and create >200,000 new jobs throughout the entire supply chain. 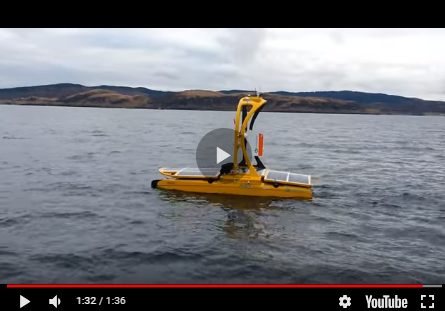 Current activities within the emerging marine energy sector are geared towards technology and project development, including the realisation of suitable test locations and demonstration sites. The Netherlands has a solid position in the global marine energy sector, with high-potential technology developers, renowned academic institutes and offshore industry, and a variety of test facilities where new technologies can be demonstrated, including two test sites operated by DMEC; an inshore test site at the Afsluitdijk (Figure 1) and an offshore test site at Marsdiep. For both sites, DMEC designs and executes technical support packages for marine energy device testing including technology certification services. Further south, in Zeeland, a new test facility (TTC-GD) is planned for low head tidal range testing. Together with the Dutch offshore, maritime, and delta-tech sectors, unique and commercially viable concepts are being developed. One example is an Energising Delta (Figure 2) combining water safety with the generation of clean energy. While moving towards commercialisation, it is important that the emerging sector integrates expertise and lessons learned from existing maritime and offshore companies. Additionally, there is also a hydrographical challenge in determining the potential of marine energy. Previous studies have shown different predictions for the amount of energy that could be generated . On a more local basis, hydrographical knowledge is imperative to determine which locations are best suited to marine energy generation and to provide confidence to investors for certification. Although hydrodynamic tools are being developed to map out optimal sites for deployment, knowledge is still lacking in how to practically use existing hydrographic tools and experience. In short, there is a significant potential for the adoption of marine energy in the renewable energy mix. To realise this potential, the synergies between the marine energy sector and the maritime, offshore and hydrography sectors should be exploited. DMEC aims to achieve this by initiating new activities, joint projects and business cases across sectors, regions and industries. In this way, DMEC accelerates technology, innovation and business development, shortens the time to market for marine energy devices, and boosts their export to global markets. Please get in touch with us if your organisation would like to discuss the possibilities.